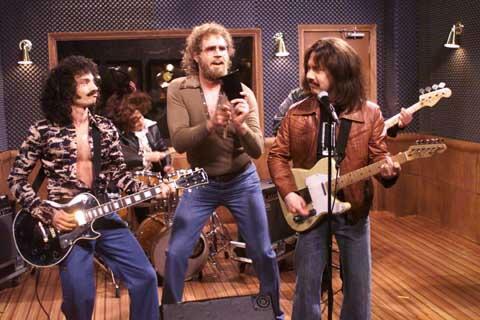 If you don't know what "more cowbell" is all about, you are missing out on one of the best moments ever on Saturday Night Live. Christopher Walken's deadpan performance in the now famous "cowbell" sketch has made him famous all over again with a new generation. If you watch the video and don't think it's hilarious, watch it again and again. Every time I see Walken remain totally straight-faced as he delivers his lines while the rest of the cast is fighting not to lose it (I'm talking to you, Jimmy Fallon) I just crack-up. Just wanted to say howdy. I remember your radio show growing up, and you're my inspiration for being a DJ. I'm a college radio DJ now, and I just wanted to look you up and thank you for the years of wonderful laughs and 80's music every Saturday night. It's really influenced me.. and I dunno what else to say... I know this is kinda random but I really wanted to let you know your show helped me out through some very rough times, and is one of the reasons I'm still alive today. I'm sorry; this is probably the most random message you ever got on a blog.. but... thank you for everything. I appreciate it. -KJ Bazzle, Farmington, Maine. I've heard of this and always wanted to watch it! Thanks for posting the link! It is hilarious! I love the cowbell! Whn I burned a copy of that sketch for James he knew he had found his future wife ... boy was he stupid.